So why a blog? Why through The Northerner? And what the heck is a “green beat” to begin with? If for nothing else, my reason for doing this project lies in wanting to grow and develop The Northerner‘s coverage of the environment at NKU and in the surrounding region. Oh, and that’s what a “green beat” is —coverage of issues that affect our environment and consequently us. And to be quite honest, we haven’t had a lot of good coverage (if any coverage at all) of this “green beat” —or science in general— in The Northerner in the past. So, through this blog I hope to cover different initiatives happening across NKU and the surrounding area, as well as the issues affecting the environment that may not be typically covered by standard media outlets in our area. 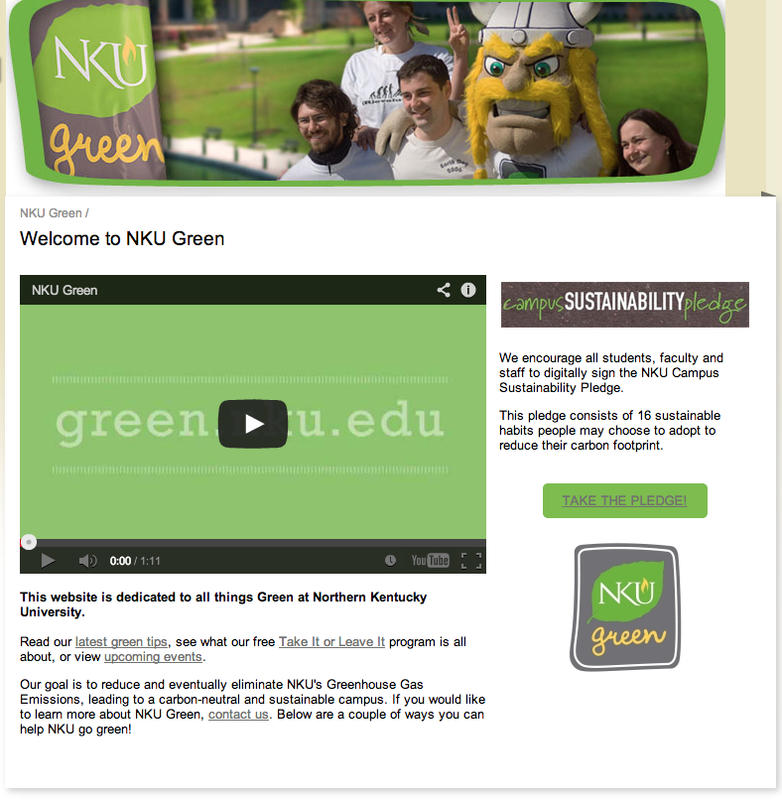 NKU Green has its own website as a part of NKU’s larger site. The NKU Green program is set up to help make NKU and all of its community members more green. As a former editor of The Northerner, I feel this coverage is something I really owe our university and regional community. I have the long term goal for this beat to develop further into the future as a part of developing and maintaining a sense of environmental literacy for both our communities and ourselves. I’ll keep my fingers crossed! Another consideration I had in pioneering this project was in having multimedia reporting become ingrained into part of my typical reporting habits —within my work at The Northerner and beyond. Times are changing and therefore I should be changing too. I understand scientific topics can sometimes be dry, so I need to take advantage of evolving media opportunities and tell these stories in an interesting and compelling way (for the sake of you and I both). Plus, as the former editor and now digital projects manager, I keep saying that The Northerner is going more digital first. And if I am going to talk about wanting to go digital first and wanting to be a multimedia news organization, I must lead by example. I am hoping my work in the course of this project will help me redefine my standard news reporting techniques with a more evolved, digitally-based approach. With all of this said, I am excited to embark on this next step in my evolution into a digital journalist of the twenty-first century. 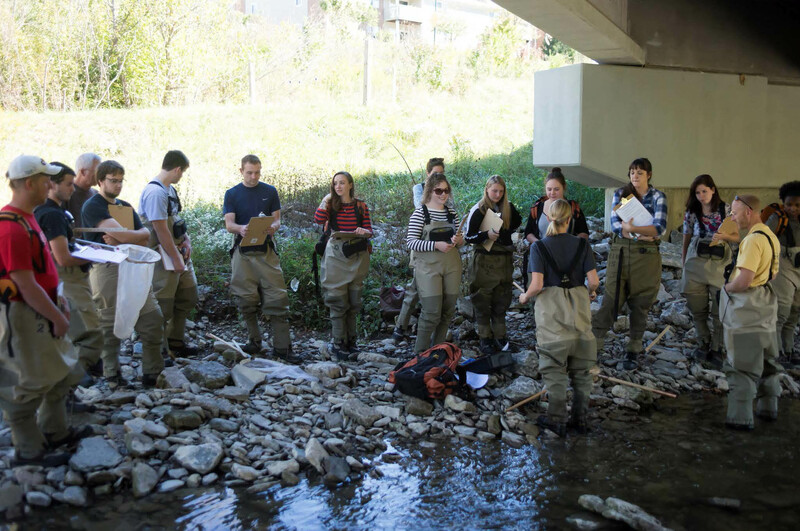 A NKU class does research in a local stream. Professor Kristy Hopfensperger’s environmental science course contains a lab component where students do research out in the local environment. However with excitement comes fear. With all these new opportunities for growth and taking on so much new territory, comes a much larger workload. While I am sure I will get through it and be fine (although I must admit I hope I do more than just fine), I can’t lie… I am pretty scared. And I think this is something that all journalists must feel in taking on new reporting and storytelling techniques in their day-to-day lives. The most important thing that I must keep telling myself is that the pyramids weren’t built in a day. Although that is a pretty cliche statement, it is comforting to remind myself that each day will act as a new building block in the grand scheme of the bigger picture, and that the very last day will serve as the crowning point to a successful project. Long story short, If I take my time, do things one day at a time, I will survive and hopefully even make digital-storytelling part of my everyday reporting process. Let’s just hope I can help our environment survive along the way! This blog is a part of Kevin Schultz’s senior project for his Northern Kentucky University honor’s capstone. Follow him @KevinEdSchultz on Twitter or look for his hashtag, #NorthernerGreenBeat, on Facebook, Instagram and Twitter for more on this project and others like it. See more of Kevin’s work at his TheNortherner.com profile.